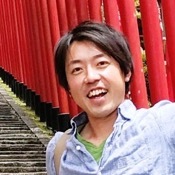 Traveler Ratings for Private Tour in Kyoto, Japan by Tour Guide Kenzo S.
Kenzo was knowledgeable and flexible. He had a general idea of what we wanted but he quickly adapted the tour to suit our preferences. He was fun and we loved spending our day with him here in Kyoto. He was very passionate when describing and explaining about Kyoto and he is a GREAT photographer. If anyone wants to have great photos, you have to ask for Kenzo. We will definitively look for him next time we visit; in the fall to see the wonderful foliage he described to us. We hired Kenzo for a 1/2 day tour of Kyoto. He was courteous, knowledgeable, and his english was very good. We especially enjoyed his tour of the Fushimi Inari Shrine. Kenzo is an excellent guide and we recommend him highly! Kenzo was our guide - he was very friendly, knowledgeable, helpful and professional. His English was perfect. He gave us an extensive history or background information on many of the sites we saw. I would definitely use his services again, and recommend him for friends or other travelers. Kenzo gave us a great overview and more on Kyoto in such a short time— from key shrines to off the beaten path areas only locals know, to a taste of the food and introduction to the culture and religion, without feeling rushed. My teen age kids were very engaged and found it very interesting. Highlight of our trip. Thank you Kenzo! No tour of Kyoto is complete without time spent in Nara. Whether it's the giant Buddha or the quaint traditional homes in the wooded areas, it's just an unforgettable time. And Kenzo knows just where to take us for a quiet outing. Nobody should miss this energizing biking tour with Kenzo. He's a professional leader and guide who always ensured our safety along narrow paths and across city streets. He also took extra care to secure a special bike for my partner who was not very good at biking. We had a great time visiting an exclusive garden, riding across the pebbled grounds outside the Imperial Palace, and negotiating the fascinating Philosopher's Path. The tour to Fushimi Inari opened a window into the unique social, economic and political history of Kyoto. Tofukuji offered a welcome opportunity for us to be one with nature, and Gion was such an experience of a fascinating culture even though we didn't have sufficient time to explore it together with our guide, Kenzo. On the whole, we had a swell time. Kenzo is the best! Due to a change in sched, our fam (2 parents and our two 20+'s) spent 2 fabulous days with Kenzo. Kenzo pretty much customized our days. Day 1: bike tour—it was safe, easy, VERY fun and we saw so much of Kyoto—backroads and main attractions. Day 2: Kenzo picked us up in his new car which allowed us to see several more distant attractions we couldn't bike to. Knowledgeable, fun, great photographer, BEST cold soba restaurant, plus we left Kyoto feeling like we made a lifelong friend! Kenzo is a very expert and passionate guide who introduced us to some of the most beautiful spots in Kyoto. Also, the tour was very well prepared according to the rainy weather. Highly recommended. A 5-Star Experience: Fushimi Inari Shrine & Zen Temple & Local Cuisine Kenzo makes you feel at ease from the moment you first set your eyes on him. With him, we visited the Fushimi Inari Shinto shrine which is famous for its thousands of orange/torii gates. Kenzo took us through crowds to the top of Mount Inari; then through the mountain trails where we were essentially alone; and then to an exquisite and natural zen museum followed by a great lunch among locals. In him, you will find an true expert! Kenzo was an excellent tour guide. Personable and very easy going. Also speaks excellent english. Made our first day in Kyoto really fun. What a great way to see the big sites of Kyoto! Kenzo had an itinerary, but was flexible with options. At the end we planned to walk through the Bamboo forest, Kenzo took us to the train station, rode with us there and gave us directions and advice on the route to go. TOUR GUIDE RESPONSE: Thank you Amy! I’m very glad that you have enjoyed my half day tour. Though it was a short time, I’m sure that we could maximize our time to enjoy Kyoto! Great way to see Kyoto, by walking through the streets and sights. Kenzo was knowledgeable, interesting and fun to spend time with. He showed us the famous sights but then also took us through the back streets pointing out life in Kyoto, to a rarely visited shrine where we were the only people. It was perfect after the crowds. He also regularly stopped us for family photos, which I appreciated in particular as my husband and sons always make a fuss about me asking someone to take our photo! TOUR GUIDE RESPONSE: Thank you Tamlyn san for the great review! Yes taking my guests pictures is always fun thing for me ;-) Also thank you for recommending my guide service to your friends! I look forward to seeing you again and I will take you to more off the beaten places! Kenzo was the best. We loved all his knowledge and he took us not only to the main sites of Kyoto but through neighborhoods as well. We had a great time dining with him at the end of our day at a conveyor belt sushi place. Kenzo was wonderful! He picked us up extra early from our hotel and planned an itinerary that was fun and engaging for our family of 5, but also stayed away from the more touristy attractions. He gave lots of explanations and took us behind the scenes at the Budo Center when I mentioned my kids were interested in martial arts. Great day and highly recommend! Kenzo was absolutely the best. He was prompt, professional, FUN, educational . . . FRIENDLY. He has a good sense of humor and made us feel at ease right away. He was very knowledgeable about history, fauna, food. He led us efficiently from place to place, using intetesting shortcuts that we would never have taken. The restaurant where we stopped for tea was incredibly beautiful! We have just started our trip, but pretty much know that Kenzo's tour will be the highlight. Arigato, Okini, Kenzo! TOUR GUIDE RESPONSE: Steven-san, Domo-arigato!! Thank you so much for taking my tour at the beginning of your journey! I didn’t think we could cover so many places on that day! (you all must have been tired after long flight). We did a pretty good job! I look forward to seeing you again soon. TOUR GUIDE RESPONSE: Thank you Elizabeth for the 5-star rating of my drive tour!! Excellent English, very knowledgeable, thoughtful and helpful. I highly recommend Kenzo and his tours. TOUR GUIDE RESPONSE: Although it was raining today I'm happy to know you have enjoyed the tour! Kenzo was a fantastic tour guide!!! We spent a whole day in Kyoto and a day in Nara with him. We saw so much and he took us to authentic Japanese Lunch places that were great!!! I would highly recommend Kenzo for all of your tour guide needs in Kyoto and Nara. His English is excellent and he was very flexible with our schedule and had great suggestions and took us to extra things we would have never found on our own!!! If you are going to Kyoto , email Kenzo!! TOUR GUIDE RESPONSE: Lauren, Thank you very very much for the fantastic comment!! It was so good that you really liked the restaurants I took you to! I used my car for the first time in your tour and it is very good to know that you enjoyed the flexible style tour. Love to show you next time more countryside of Japan! Thank you again for having a time to write the review!! Kenzo was a very friendly and informative guide. We did a 4hr walking tour of Kyoto and with 7 children in tow and he kept them engaged and was very responsive to their questions. It was wonderful to see them chatting to him as the morning progressed. His tour of the Fushimi Inari Shrine made it very interesting and we noticed things we wouldn't have seen without him. It was also great to have someone explain the different foods on offer at Nishiki Market. We really enjoyed his company. Thank you Kenzo! We loved Kenzo! Kenzo guided my husband and I around Kyoto for four hours on our first day in Kyoto. We visited the Fushimi Inari Shrine, a Buddhist rock garden, the Kiyomizudera Temple, and a local Ramen restaurant. All sites were incredible and the ramen was probably the best we've ever had. Kenzo was extremely patient when we wanted to take photographs and was very knowledgeable about Kyoto history and religion. EXCELLENT TOUR GUIDE! TOUR GUIDE RESPONSE: Thank you so much Delaine!! Glad you liked the ramen restaurant that I took you to ;) It was a short tour so next time, let's have more fun in a longer tour!! We loved spending time in Kyoto With Kenzo. He is very smart, knowledgeable, charming and fun to be with! He showed and explained many things we could not have learned from a guide book. We now consider him a friend! Ten stars for Kenzo !!!!! TOUR GUIDE RESPONSE: Thank you so much for another 5 stars!!! I hope you will enjoy the stay in Kyoto and look forward to seeing you again!! Kenzo did a great job and tailored our tour to suit us perfectly. Very knowledgable and friendly guy, would use him again. Highly recommended! TOUR GUIDE RESPONSE: Thank you Etti and Harvey for the great review about my tours!! I'm really glad that you both have enjoyed the visit to my home city :) When you come back next time, I would love to show you outskirt Kyoto! Kenzo's private tour of Kyoto was awesome. We were a large group (10 people) with small children and he was very flexible. He showed us the main sites in a short amount of time with as little waking as necessary. He is full of knowledge and anecdotes about Kyoto's culture in particular and Japan in general. My 11 yr old boy enjoyed his stories so much and did not stop asking questions. He was very patient and always with a smile. Will definitively recommend Kenzo and tour with him again. TOUR GUIDE RESPONSE: Agustine, Domo Arigato~~~!!! I love your review! I really enjoyed answering to your son's questions! Cycling tour was full of fun too ;) You all have great energy and interest about foreign culture. I would love to see you all again! Very informative tour guide - enjoyed visit the Nishi market and several temples. Kyoto is a beautiful city. Outstanding! Scalable for our special needs and requests. Such excellent English and cultural education. Kenzo is the best! TOUR GUIDE RESPONSE: Thank you so much! Unfortunately it was a raining day, but hope you enjoyed viewing 1000 Buddhist statues and our conversation about Buddhism philosophy! TOUR GUIDE RESPONSE: Thank you so much Margot for the great review! It was really good that we could the the golden temple with snow! Kenzo was very nice and easy to get along with. He took us to some great places in the city where we had time to look and do some shopping as well. The restaurant he recommended was great! Food was delicious. TOUR GUIDE RESPONSE: Than you so much for 5 stars rating Jason!! Kenzo has given us truly the best thought out tour of Kyoto! He allowed us to go at our own pace, had great local knowledge, there was no question he did not know the answer to. He was so much fun to spend a few days with and his advice on organising other things was invaluable. Ryokan recommendation, tea ceremony advice and a private meeting with a beautiful Maiko. This made our anniversary visit so memorable. Thank you Kenzo! TOUR GUIDE RESPONSE: Thank you so much for the great review!! I'm so happy that you enjoyed the tour a lot! We thoroughly enjoyed our time with Kenzo. He was very professional about his job but had great energy and was fun to spend the day with. He was very knowledgeable about the different sites and had lots of interesting information to share. Thank you for a great experience in Japan! TOUR GUIDE RESPONSE: Thank you so much for the Great comment Kat-san!!! His English was great and he was extremely friendly, amiable and just a pleasure to spend time with. He answered all of my questions and put together a very fun and fascinating tour. I highly recommend. TOUR GUIDE RESPONSE: Thank you very much for the comment! Although we had heavy shower, that made Kyoto city look more beautiful! I'm glad that you enjoyed seeing the Zen garden for long time.